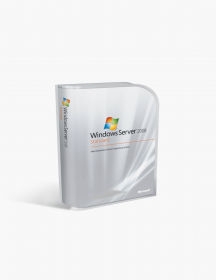 You're reviewing: Microsoft Sql Server 2012 Standard. It goes without saying that almost any business in today’s world requires database management software, or DBMS. In order to have all your data in perfect order, readily available and easily accessed, you need a program that will guarantee you performance, scalability and intuitiveness of the highest order. 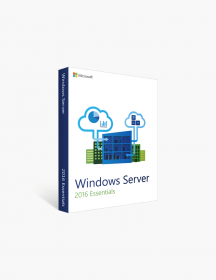 This is what Microsoft SQL Server 2012 brings to the table, thanks to a variety of innovative features and valuable enhancements that will give you all you need in a DBMS. 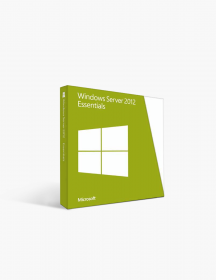 The Standard edition of Microsoft SQL Server 2012 consists of the core database package along with standalone services. It also offers larger database support, reduced hardware limitations and inclusion of valuable tools that will help your business immensely, making it the ideal choice for managing departmental databases in small- and medium-sized enterprises. Keep reading to get acquainted with the key new features, gadgets and improvements in SQL Server 2012 Standard, as well as why they result in such strong advantages of this excellent DBMS. 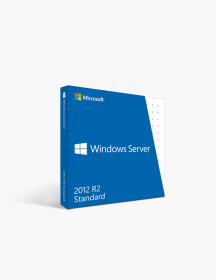 What’s New in Microsoft SQL Server 2012 Standard? 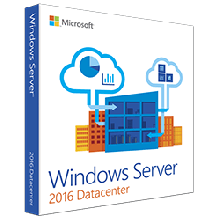 There’s a plethora of new tools, features and enhancements in almost every aspect of SQL Server’s 2012 version, and the majority of them are present in the Standard option. Some of them are specific tools that used to be available only in higher-tier editions, such as the SQL Server Audit. With this new to Standard feature, you now have the ability to define custom audit specifications and choose from various filtering options. On the other hand, you will be seeing some valuable functionality tools for the first time - the now user-defined server roles, for example, allow you to have more control over the segregation of duties, as opposed to the fixed server roles in prior versions. As far as improvements are concerned, there are plenty - one of them concerns the database tuning advisor, which can now use the plan cache (previously known as the procedure cache) as the workload. Database mirroring and protection. One of the significant additions is SQL Server 2012 is the new packet of AlwaysOn features. While the Standard edition doesn’t include every single one of those, it is equipped with the core aspects of AlwaysOn. Database mirroring is now a much more efficient process, allowing you to replicate your information without a noticeable drop in performance, and the new AlwaysOn failover clusters take effect instantly in case your primary server stops responding, with up to two nodes supported. Contained databases. Another all-new feature in SQL Server 2012 Standard, contained databases include all the defining database settings and metadata, and they are isolated from other databases and from the SQL instance. You can connect directly to the contained databases instead of going through time-consuming authentication processes. Furthermore, since all important settings and elements related to the database are now stored in one place, it’s easy to move them from one server to another. Another advantage of the contained databases is their independence from TempDB or instance collation. The FileTable. Those of you who’ve had some experience with Microsoft SQL Server 2008 will most likely find the FileTable in the 2012 version familiar. That’s because the FileTable is a continuation of the FILESTREAM feature - similarly to its predecessor, it allows you to manage files on a file server via a special table. This table contains file and directory hierarchy information, and each row is a separate file or directory. The changes you make in the FileTable are reflected in the file server as well, resulting in a quicker and easier tool for your desired data modifications. Semantic search. With SQL Server 2012 Standard’s new searching capabilities, you can now query the meaning of a document. By extracting key phrases and words in documents and finding similar matches based on them, semantic search provides you with a very time-efficient way of organizing relevant data for your chosen purpose - for example, making a comprehensive list of job candidates with the required credentials for recruitment. Distributed replay. This new feature is a godsend for those of you looking to test performance on a constant basis in SQL Server 2012 Standard. Distributed replays can capture a workload on one server instance and replay it on another, which is useful in a several situations - application compatibility testing, performance testing and capacity planning are of most significance. Major enhancements in T-SQL. 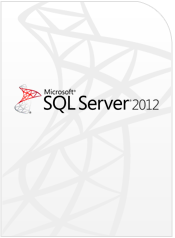 Transact-SQL is even stronger in the 2012 version of Microsoft SQL Server, with numerous additions and improvements. Among those are the new SEQUENCE object, a variety of logical functions such as CHOOSE and IIF, and a slew of date and time functions. There are several more enhancements in T-SQL, but we won’t go into detail - we’d rather you find them yourself and be even more amazed at the new opportunities before you! Why Purchase Microsoft SQL Server 2012 Standard? It’s the ideal choice for small and medium business. Microsoft has made it a tradition to offer a wide variety of editions tailored to all kinds of purposes when it comes to their products. The Standard edition of SQL Server 2012 is no exception: it is equipped with every necessary tool to meet the demands of small and medium business organizations. Its capabilities mainly provide you with the basics, but it has enough tricks up its sleeve to ensure you will never feel limited in your options - in fact, you will definitely appreciate the straightforward, no-frills experience the Standard edition guarantees. It’s capable, yet intuitive. Ease of use is a rare, but welcome boon in DBMS products. Microsoft SQL Server 2012 Standard is designed with accessibility in mind - it provides a server platform that you can work on in a manner that saves you not only time and effort, but doesn’t burden you with unnecessary, time-consuming processes. Prior experience isn’t wasted. If you are well-versed in SQL Server 2008 or even the 2005 version, you will be pleased to find out that SQL Server 2012 Standard retains the overall look and feel of its previous iterations. While it’s equipped with many new features and introduces significant improvements to existing ones, it won’t be long before you can navigate around the 2012 version with ease. You don’t have to spend serious amounts of time trying learn everything inside-out all over again, which is a huge advantage for a new version of a DBMS to have. These are minimum system requirements for installing Microsoft Sql Server 2012 Standard. CAD$818.99 | In Stock Want it Now? Order and receive your download instantly.